“If you’re anything like us, the choice of music is one of the biggest decisions you’ll make for your wedding day. You would have trawled through multiple sites, listening to hundreds of bands playing the same renditions of the same songs. It gets to a point where you feel that without blowing the entire wedding budget on a 27 piece soul/funk/rock/pop band, you just won’t be able to get the party started. Well, fear not, you’ve just found Silver Souled! They are absolutely incredible. We booked them for our wedding party and they are the single best decision we made about the entire day. These guys know how to get a party going and nothing could have made us happier than the dance floor being packed for the whole evening. Naomi’s voice live is insane!!! “Silver Souled were amazing and really made our wedding reception! Wonderful vocals from lead singer Naomi, all round fantastic musicianship and amazing sound. They had our guests up on the dance floor throughout the evening, and everyone was commenting how great the band were! From the very first communication, they were really easy to deal with, friendly and professional. “Silver Souled were an absolutely stunning choice to have for our wedding. As two people who spend a fair amount of time around musicians we were very keen to have a band that were amazing to entertain us and our guests, and spend a long time discussing who the right band might be. “There’s only one word to describe Silver Souled…incredible! They kept the dance floor alive for the entire evening! The number of comments from our guests are a true testament to how great they are. The set they performed had a wide variety of songs to keep both the young and old constantly on the dance floor. “Silver Souled really made our evening do. The atmosphere was amazing and so many of our guests have said how great our band was! Not only that, they were so efficient from the first point of contact right through to their performance. “From the moment of enquiry, Silver Souled were really communicative and could work within our budget. On the day, they were all a delight to host and the guests really enjoyed their choice of songs. “We are very pleased to have chosen Silver Souled! They were a big hit with all the guests and gave us a couple of fantastic, upbeat sets that really kept the crowd going. “Silver Souled have been the heart and soul of our Friday Night Live for about 3 months now. As a resident act they have been fantastic and never cease to impress. These guys have an amazing sound and the ability to bring everyone onto the dance floor without fail each time they play. “We booked silver souled to kick off our new funk and soul event “go funk your soul”. Their musicianship and professionalism was astounding and they had the whole place dancing all night with a perfectly executed set list. “What an incredible band, really did pull out all the stops. We struggled for ages trying to find the right band who could prefer modern with a twist of soul and their own spin on songs. “Silver Souled recently performed for my 40th birthday party in Nottingham. The party had around 80 guests and following the party nearly all of them have remarked or asked the name of the band after what can only be described as an epic performance! The band are obviously super talented and Naomi the lead singer is in a different league to lead singers we listened to when researching for a band. The set list was varied and current and from their first song everyone loved the music and hit the dance floor. “The Silver Souled Band are highly talented young musicians who have a great sound and energy, which is infectious for all guests. Having worked with them closely, I can confirm they are completely professional, who will go the extra mile to ensure the show will go on. 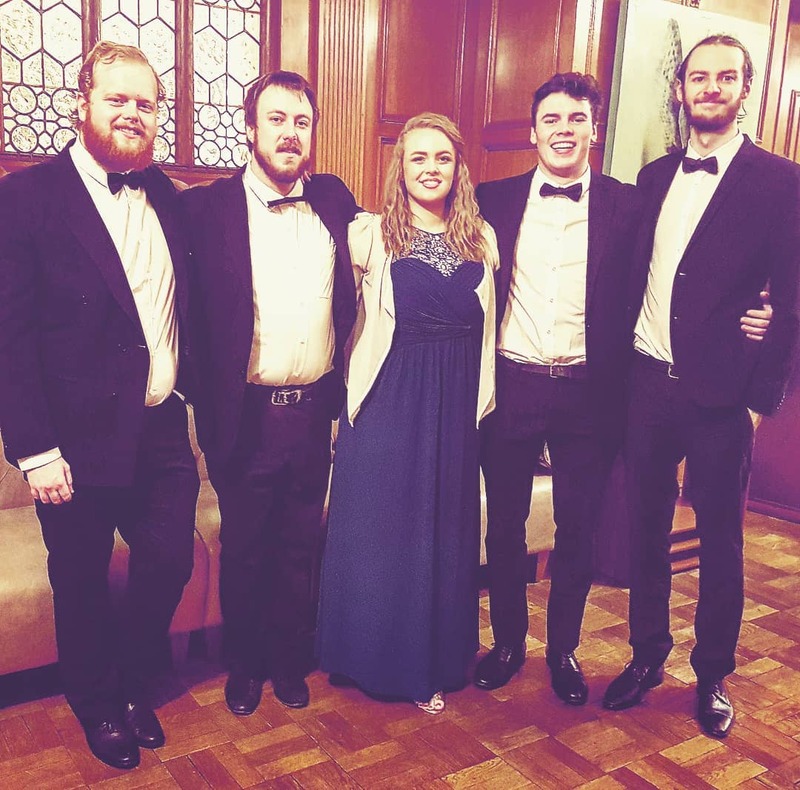 “We were very lucky to obtain the services of Silver Souled for our Devon wedding in July 2017 after seeing them perform live at gigs in Bristol the year before. And we are so glad we did!! From the moment the band agreed to our date and travel arrangements the communication and planning was seamless, which was hugely appreciated when dealing with multiple wedding suppliers at once! Our only regret is that we had already arranged a DJ for the later evening as we wish the band could have played on longer. They absolutely nailed every song – including the requests we threw at them in advance, everybody in our wedding party loved them and had nothing but praise. They all looked smart and professional and arrived at our venue in good time to allow set up and rehearsal – again taking all stress away from us. “Silver Souled provided the evening entertainment at our wedding party at Devenport House, Greenwich. All we can say is wow! This is a seriously good band with a sophisticated repertoire and bags of talent. The lead singer, Naomi oozes soul and that filters through to the rest of the band. Far from just reeling off songs, they stamped their own identity to the songs and had us stuck to the dance floor all night. No one wanted them to stop performing. I have been getting countless messages from our guests about how amazing our wedding was, helped in no small part by Silver Souled. They also went the extra mile in travelling down from Bristol, getting the extra paperwork required by the venue at short notice and learning a fresh song for our first dance. Our first dance in particular was awesome. We would highly recommend Silver Souled. “We recently booked silver souled for an annual dinner for 420 attendees and they were absolutely fantastic. We’ve had amazing feedback from the guests and the set list they played was perfect for the audience; they really made the evening. “Silver Souled played at my 21st Birthday garden party in August 2016 and I could not be more pleased with the whole experience. I stopped Naomi at one of their gigs and she gave me the band’s email address. I wasn’t planning on having a band at my party but after watching them play at the Bristol Ram I couldn’t resist! I emailed them the next day requesting their availability for a Saturday night only 4 weeks away. After a few emails back a forth with Naomi, she sent across a contract which provided all of the information I needed. On the day, the band arrived a few hours before kick-off to set up, apart from showing them where they’d be playing, the band took care of themselves. The actual performance was better than I could of imagined. I had a mixed audience and the band played songs that had everybody dancing! They even offered to learn 2 of my favourite songs and covered them so well (dare I even say I preferred their versions to the originals). “We have many bands gigging at our venue but none draw a crowd & hold it until closing time like Silver Souled. They bring just the right mix of pub rock & soul classics shuffled in with funky covers of all the latest pop hits.